John Rogers was born April 25, 1919 in Unadilla, Georgia. “Johnny” lived in Georgia and worked for the Underwood Typewriter Corporation until he was promoted by them to work as a manager in LaPorte, Texas where he moved in 1945. 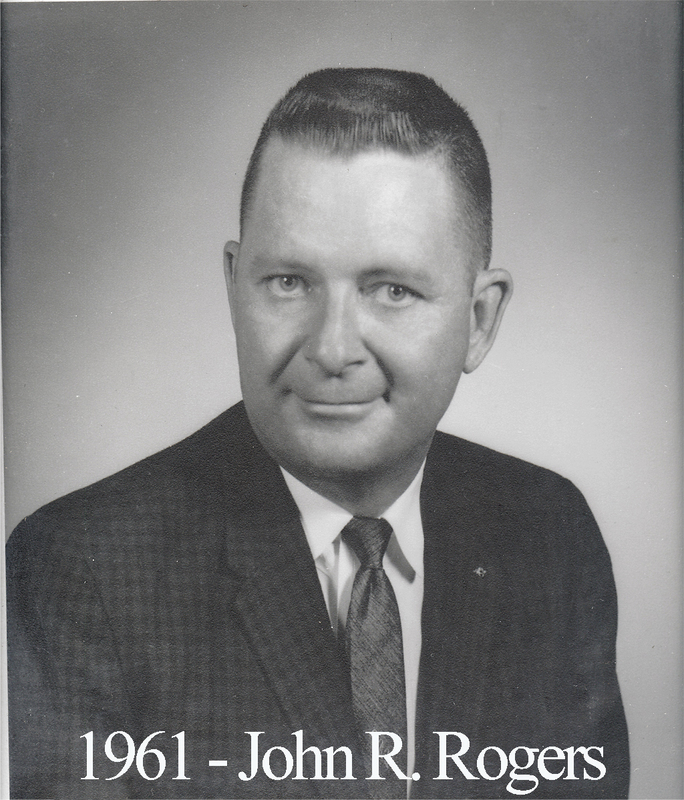 He also lived in Houston and San Antonio before arriving in Waco in December of 1951. Here, he opened the Carroll & Rogers Office Machinery Company at 330 North 5th Street. His partner was Ike Carroll, another member of Waco Lodge, who was well-known around town for playing the banjo as well as owning the office supply store. It was one of the first companies to sell computer technology in central Texas. Brother Rogers was Master of this lodge in 1961 but spent part of the year living in Connecticut for business so he oversaw lodge operations from afar with the able help of Secretary William Quebe who sent regular correspondence. Both Rogers and his partner, Ike Carroll, served as potentates of Karem Shrine.